Kenny Williams isn't waiting on free agency. Just a few days after the signing window opened, Williams nabbed former Indians shortstop Omar Vizquel and former Dodgers and Braves outfielder, the eminently washed-up Andruw Jones. How does Kenny explain this? The immediate reaction? These are silly signings. After all, Jones has been near career death ever since the Dodgers signed him to a big two-year contract in 2008, when he put up a disastrous .158/.256/.249 line. And the case against Omar Vizquel is pretty simple; the man is approximately 589 years old. But, at least as it pertains to Jones, Williams might not be completely nuts. Jones' 2009 wasn't great, but it was an improvement -- Jones hit 17 homers and posted a .782 OPS in 82 games. That's not horrible. There's a chance Jones could replicate or even exceed that production in 2010, and the White Sox get to find out at the mere cost of $500,000 a year. It's hard to lose a bet that small. So, sure, Williams might be scraping the bottom of the barrel, but if he wanted an OK fourth outfielder and a veteran shortstop, he could be doing much worse. 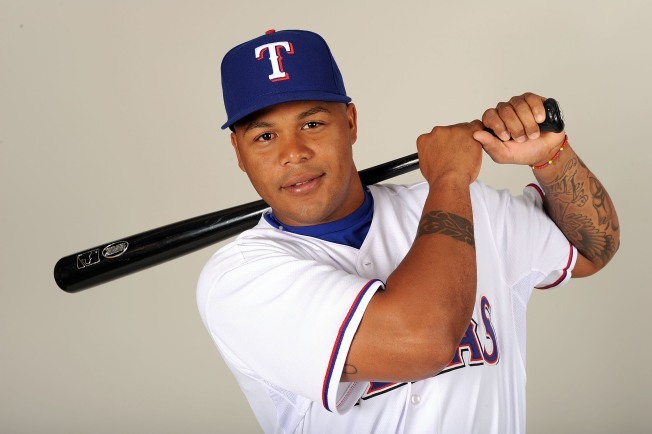 Andruw Jones to the White Sox is bad -- but not as bad as it looks.